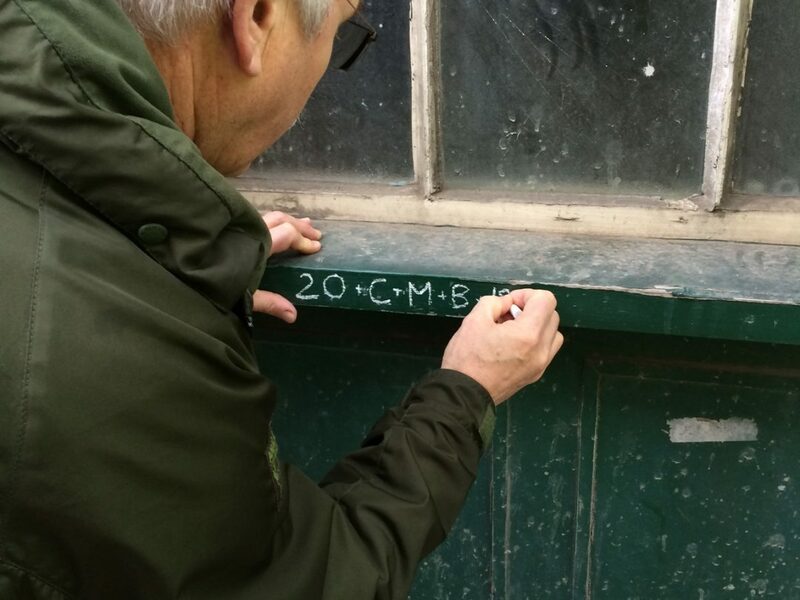 Chalking the doorposts is a Christian epiphany-tide tradition used to bless one’s home. What do the numbers and letter mean? and all who step inside or stay under our roof. and all who sit around our table and share a meal. our schools and workplaces and the land beneath our feet.